Michael & Marsha Lax: Drop the AGI at 1251 King, Do the Repairs Now! Over the long weekend flyers were delivered to Michael and Marsha Lax’s neighbours in their Bathurst and Sheppard-area neighbourhood. 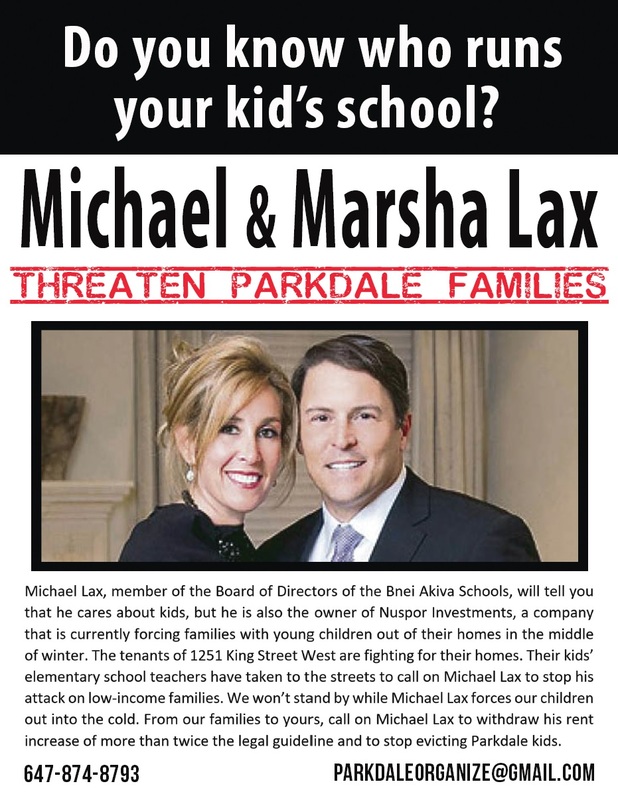 More flyers appeared in the area of Bnei Akiva schools where Michael Lax sits on the Board of Directors. 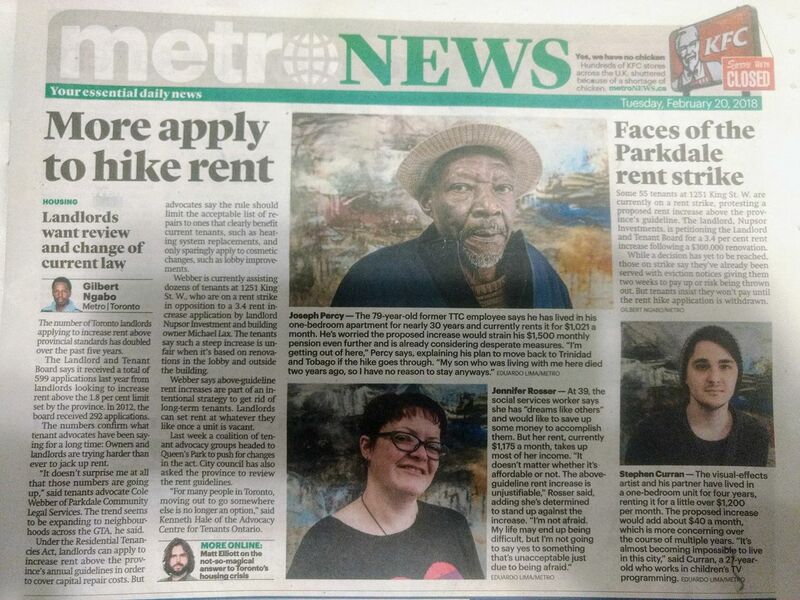 Today Metro Newspaper profiles three rent strikers from 1251 King. These are three of the dozens of people Michael and Marsha are evicting. Drop the Above Guideline Rent Increase!